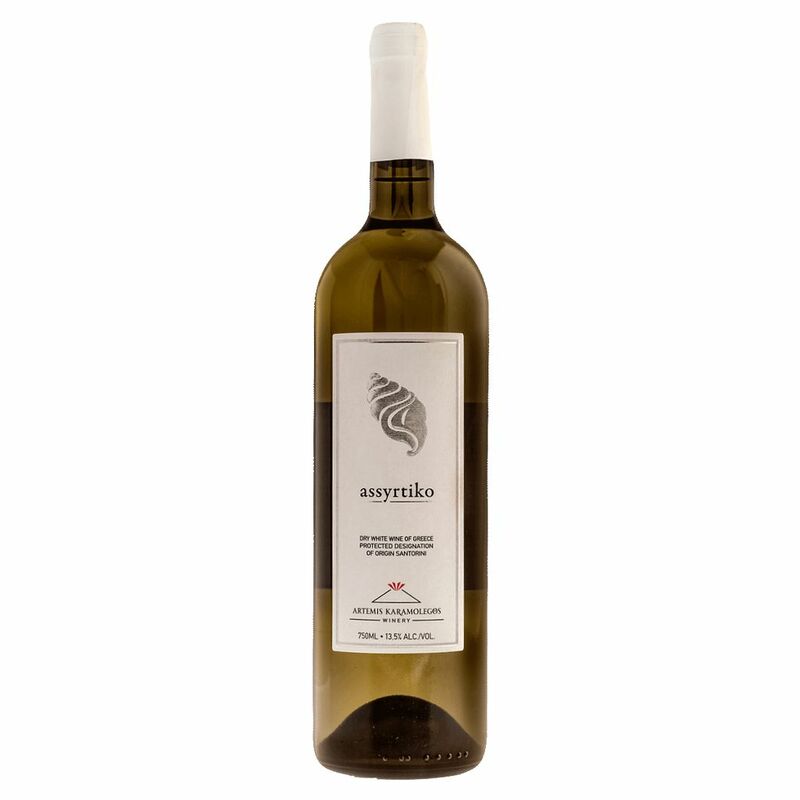 Wine Karamolegos Santorini Assyrtiko Estate 2017 - Royal Wine Merchants - Happy to Offer! Characteristic stony minerality (salty and flinty notes) in the nose followed by fruity (peach, pear) and herbal (tea, chamomile) hints. Rich mouthfeel and elegant at the same time. Its creamy texture makes an excellent balance with the dry bone crispiness and the high acidity of the Assyrtiko. Full bodied, concentrated wine with finesse complexity and long salty aftertaste.